SpaceX has successfully deployed NASA’s new exoplanet-hunting telescope into high Earth orbit. From there, it will get a gravity assist from the moon and enter a wide orbit, beginning its mission. Meanwhile, back on the surface, the Falcon 9’s first stage landed successfully on the drone ship Of Course I Still Love You. This is the eighth launch this year, and the 24th time SpaceX has landed a Falcon 9 first stage — that is, the part of the rocket that accelerates it out of the atmosphere. Although the plan is eventually to catch the falling fairing in a “giant catcher’s mitt,” as Elon Musk once described it, the boat-borne mitt is currently in the Pacific Ocean and this launch was over the Atlantic. The rocket shortly after landing on Of Course I Still Love You. 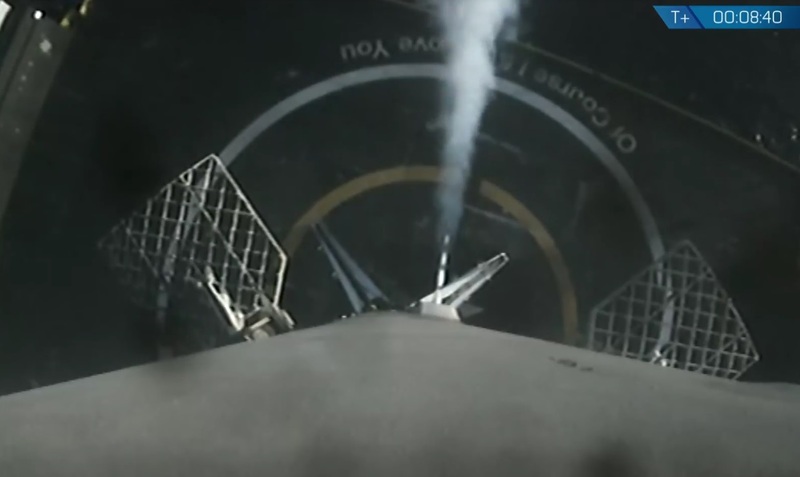 The ship’s feed cut out when the rocket landed. This rocket, after being inspected and refurbished, of course, is planned to be reused for the next ISS resupply mission SpaceX is performing, in June. Soon this generation of Falcon 9s will be exhausted, though: Starting soon, SpaceX will be launching its fifth-generation of Falcon 9s (“Block 5”), which have a variety of improvements to improve their reusability past the two or three times previous ones could be used. The first such launch is planned for early next week — look for a separate post on that soon. A second burn went nominally and TESS successfully deployed; it’s now up to NASA to adjust the orbit further so it gets the necessary lunar boost. That will take some time, but we can expect data from the satellite to roll in soon (that is, within a few weeks or months) after.